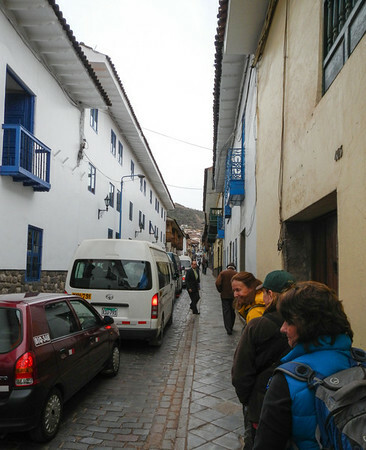 Once we had arrived in Cuzco, we took expensive taxis to the Casa Andina Private Collection. 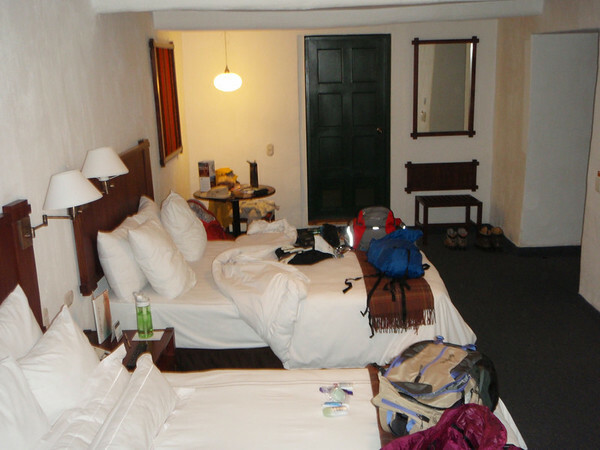 We were treated with coca tea and registered at the hotel. It was too early to get in but we managed to look around at the hotel. 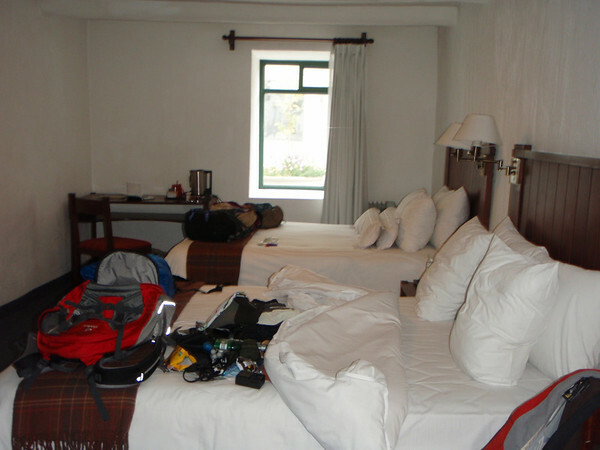 We decided to walk around town while they prepared our rooms. 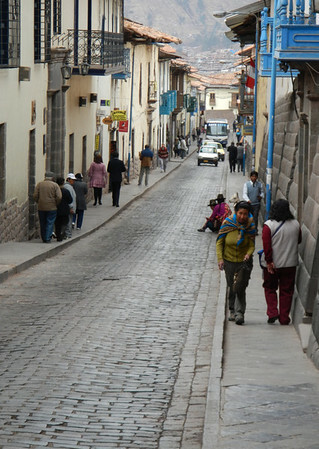 The streets were cobblestone and narrow. 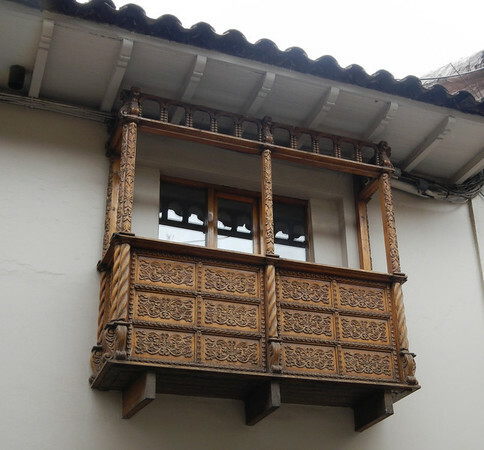 Colonial balconies with well carved wood. They all looked pretty. 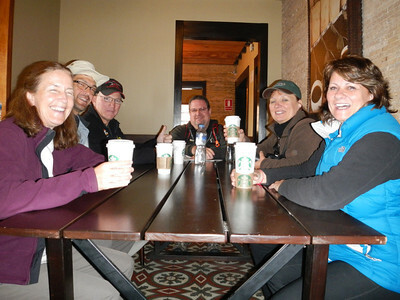 We ended up finding a Starbucks with WiFi. It overlooked the Plaza de Armes. We then thought we should wander around and find the stone with the 12 sides. 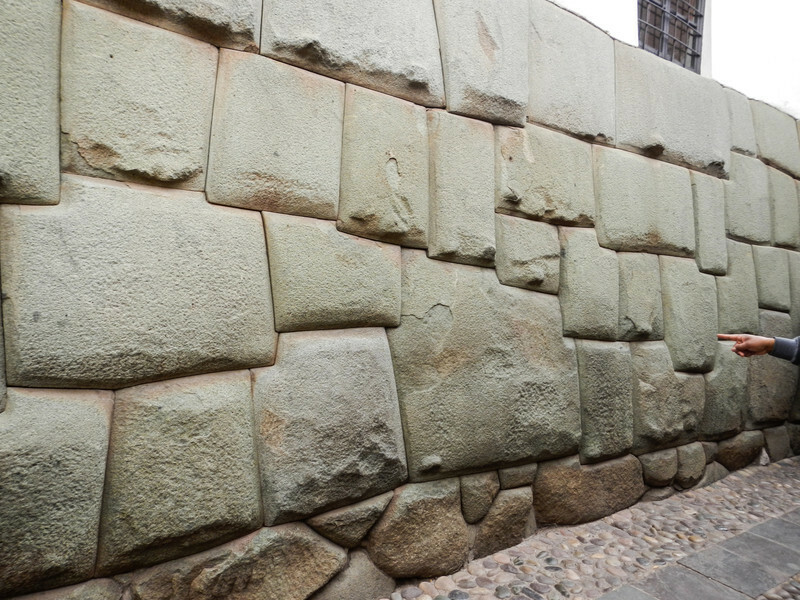 This wall has no mortar and like everyone says, “you can’t even stick a knife blade between the rocks” . 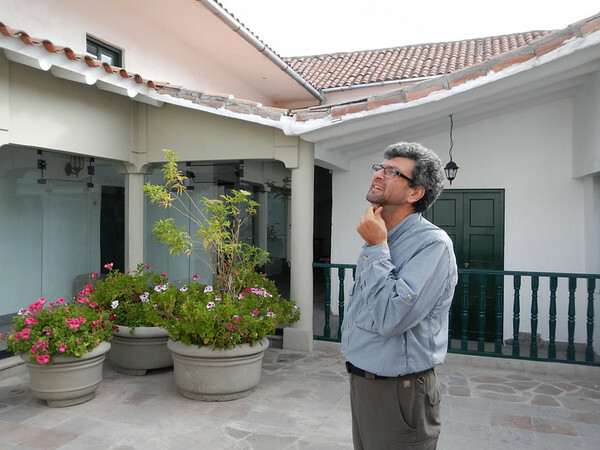 Without mortar, during earthquakes they slide against each other but don’t collapse. 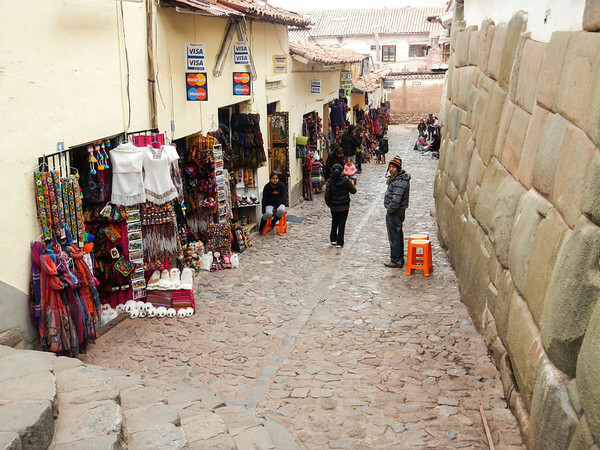 Lots of tourist vendors along the way and street vendors wanting to sell you things. 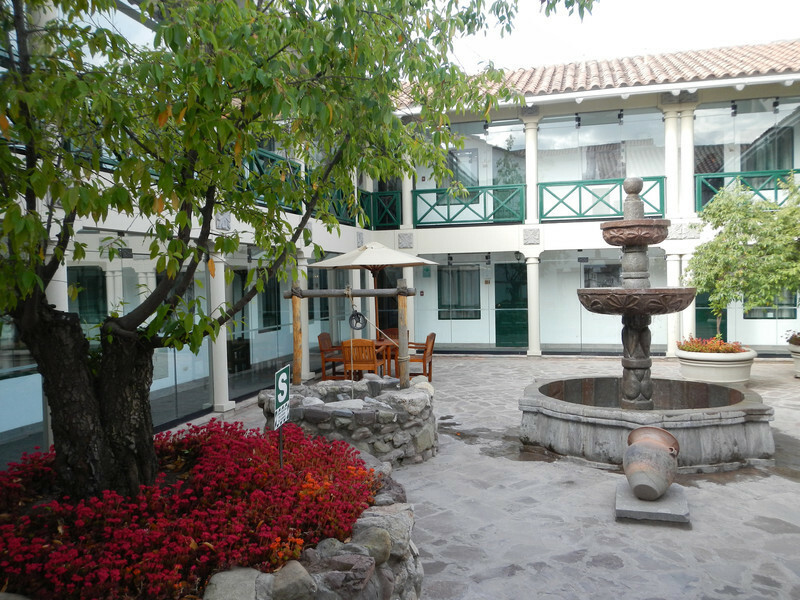 We stopped in on the Hotel Monestario where we will spend our first night after the trek and had a look at one of the courtyards. 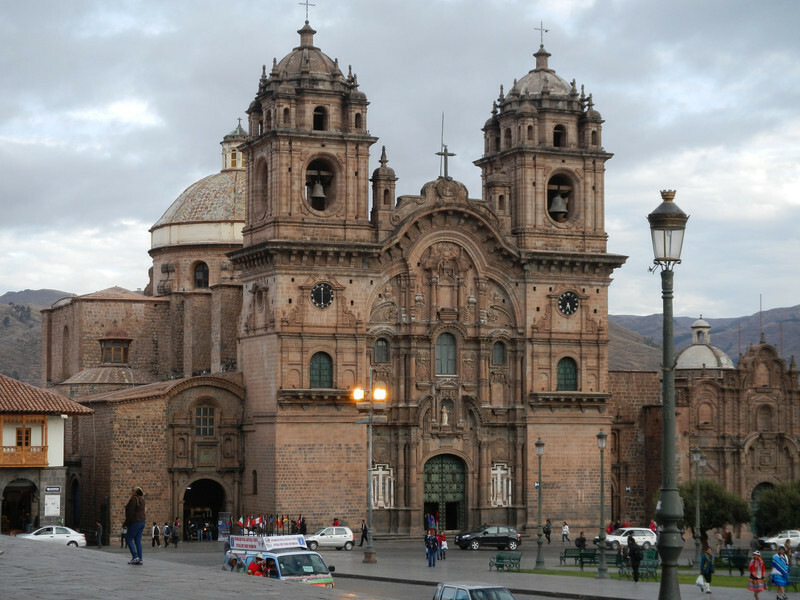 We wandered around the Plaza de Armes. Had a delicious lunch and drank chicha morada. 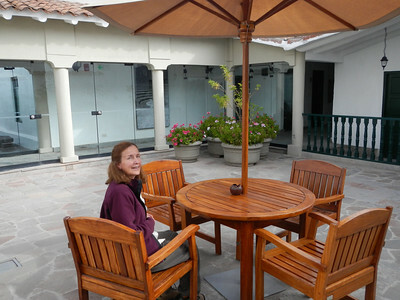 In one of the courtyards at the hotel. 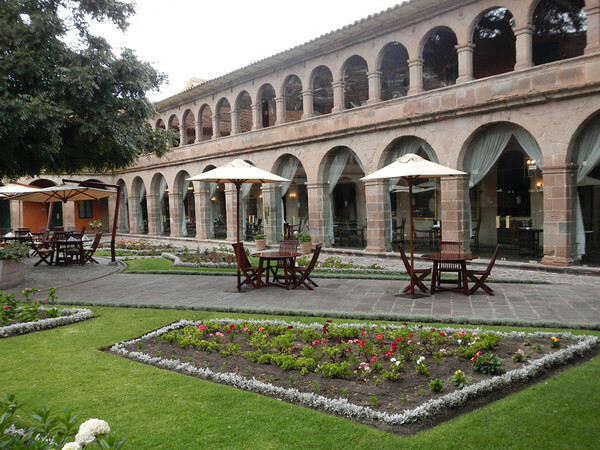 Our hotel in Cuzco the first time there. 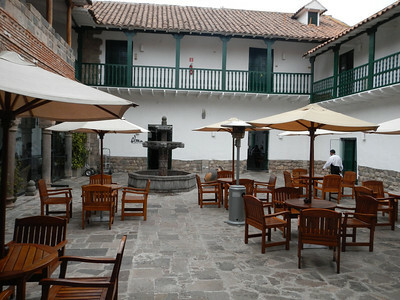 Another view of the courtyards. 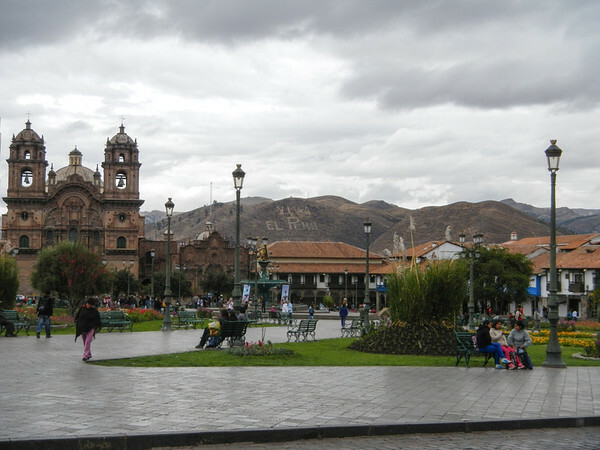 A scene across the Plaza de Armes. 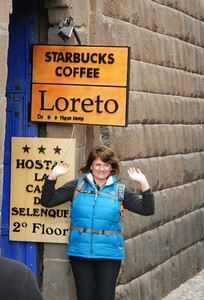 Our first day in Cusco/Cuzco (the spelling varies I have found) was wonderful and tiring given the altitude and lack of sleep. 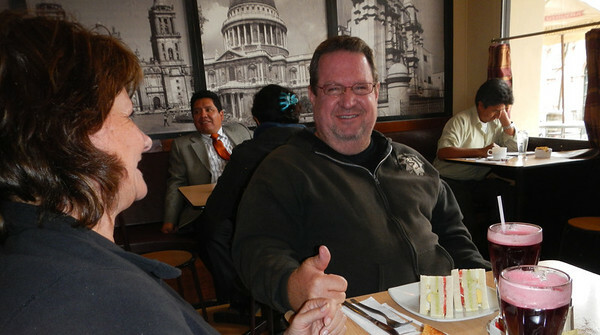 It finished with a meeting with the wonderful people from Mountain Lodges of Peru where we met our guide and reviewed our itinerary at a restaurant called Greens.